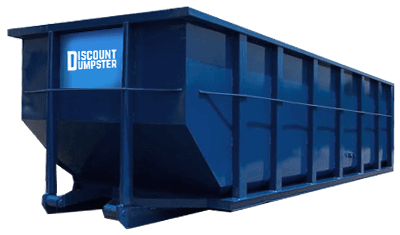 At Discount Dumpster, we understand that the needs of every project can be unique. Our waste experts are here for you to use as a resource for your project and help you to determine the right size dumpster for your waste disposal needs. We’ve been in business renting roll offs for a while, so we’ve seen most all there is to see! Call us today and we can help you with your dumpster rental Las Vegas needs. 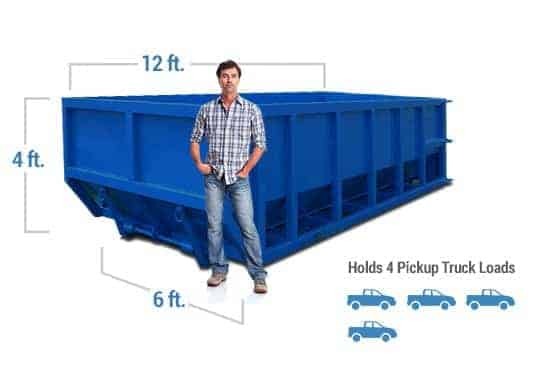 It can be difficult to determine the dumpster, so we’ve put together our dumpster sizes page for our customers to use as a resource. We like to explain everything in easy dimensions and even break down sizes to an average number of pick up truck loads. Renting a dumpster should be easy. We think it is way easier than driving your pick up to and from the dump! Call us today and we can help you. The 10 cubic yard dumpster is about the size of a parking space, with four foot sidewalls that allow for easy dumping. The 15 cubic yard dumpster is half the size of the 30, and it’s a versatile size to handle a basic yard cleanup or remodel a couple rooms. Twice the size of the 15, the 30 cubic yard dumpster can handle a house remodel. Its door opens in the back and six foot sidewalls allow you to throw debris inside. Just in case you need the biggest dumpster, we have 40 cubic yard containers! This monster dumpster is 8 feet tall and can handle the largest debris disposal. Delivered and picked up on time, driver was good at placing the dumpster where I needed it. At Discount Dumpster, we’ve come up with a formula to make it easy to order a dumpster. Take a look at how a dumpster rental works to see just how easy it is to work with us on your next dumpster rental for a construction project. Our team is standing by to help you find the right size for the right price. Call us any time! Discount Dumpster offers a variety of sizes with really quick delivery. 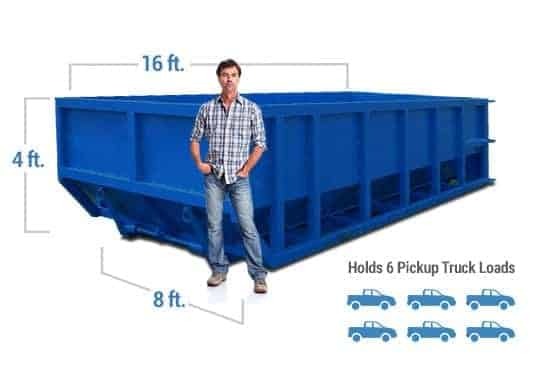 Take a look at our several different dumpster sizes, we can help you decide the appropriate dumpster for your project. Whether it’s construction debris, household debris, or plain old junk, we’ve got you covered! Take the mystery out of the dumpster rental process and work with our straightforward crew!